Below are three of the weeks best stories that came across my radar through my various social networks. Initially the theme for this post was about good communication skills, but has landed solidly on being present and in the moment to be successful. These stories served as great reminders that though we’ve set our plans, deliberated over goals/steps and future projections for 2014, to be truly happy and effective, we need to stay in the present. Simon Sinek wrote and spoke about the rise of ADHD, and noted he believes that it is really just that we are all so much more easily distracted. I tend to agree (also check out Sir Ken Robinson’s Ted Ed talk). Mark Schaefer recently wrote a blog on “Content Shock” that could have easily been included in the best of the week. It created quite a stir and is a topic I’ll revisit in another post as I want to take the time to take stock. The central theme is that as consumers of content, we only have so much time. The one finite resource we all share equally. In my case, I’ve consciously chosen to spend my time (hours for content intake) on reading (novels, non-fiction, blogs), auditory (podcast – normally consumed in the car) and visual content (selected instructional/thought provoking videos, favored sports activities and the occasional movie/show with the family). I do occasionally wonder if I’ve missed something fun/interesting when others chat about favorite shows, but am content in my choices – it works for me. The first story, is a very brief but excellent reminder of a stunningly underused “sales technique” by Jill Konrath. Jill, the author of “Snap Selling” is a leader in sales best practices and a fantastic resource that I’d encourage you to connect with. The 2 minute video covers how to effectively listen in your sales meetings/presentations when having conversations with your clients and prospects. The one thing, it seems that most of us can’t handle is silence, not real good if a radio broadcaster, but very acceptable in our personal conversations. A 10 second technique is all you’ll ever need – in sales or life in general. 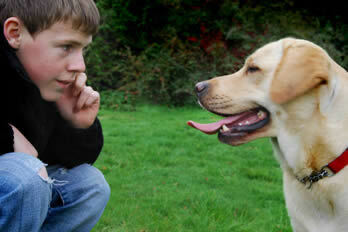 To listen effectively, it is essential to be in the moment with the person your are communicating with. Seth is a favorite source to help make me think. This gem landed in my inbox a week ago and speaks to the very issue raised in Schaefer’s blog post noted above. If you’ve not had the opportunity to read it yet, tl;dr stands for “Too Long; Didn’t Read”. We feel the crunch of time, in fact, it’s likely the largest common complaint I hear, the lack of time (to create content, to do social, etc., etc.). The fact is that we all have the same amount of time and like our finances, the trick to using it effectively, is to know how you’re using it in the first place. Godin’s post is a lament that we’re all to easily lured by the quick hit, the 6 sec tidbit, the snappy headline and we may not be deep diving as much as we could/should. I concur with Schaefer and Godin, there is an awful lot of stuff to digest and a lot of noise. My favorite line in the post is “One option is to read incisively, curate, edit, choose your sources carefully. Limit the inbound to what’s important, not what’s shiny or urgent or silly” and it’s absolutely true (however only you can decide, what works for you). Take the time to determine what you need, whether it’s the latest on your industry, doing what you do better, enjoying that 2 hour special effects laden yarn with your family. Commit to what you’ll consume, scan for new or better sources and enjoy! A favored blog to help me think outside the box and expand my horizons. I’ve discovered some interesting thinkers and materials through this thought-provoking portal. This post is what tipped us in to being present. 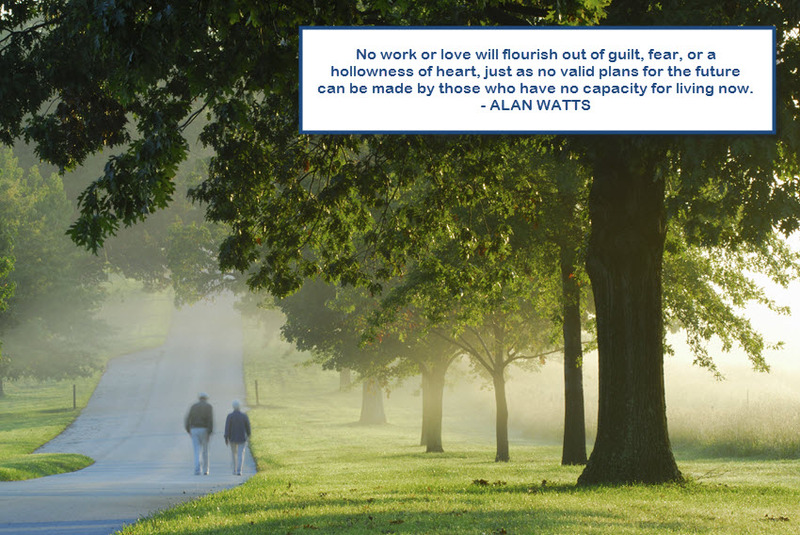 Alan Watts was the West’s leading thinker on Eastern philosophy and mindfulness. He noted that “The best predictions are still a matter of probability rather than certainty…”. It’s important to make plans, create our goals and monitor our progress, but it’s equally important to live in the moment. If you’ve decided to spend your time watching “Downton Abbey”, then do so without fear or regret that you’re not reading the latest on neuroscience so that you can influence your prospects more effectively. There is limited time, but there is time enough for both if that’s what is important to you. I’ve read much recently that talks about becoming even more effective/productive, by taking the time to smell the flowers, laugh with friends, curl up in the arms of a thrilling novel or indeed by investing your time in personal or professional development. Allowing yourself the right to be present in what you are doing will provide you the opportunity to be aware of the opportunities that may lay before you, but don’t fit nicely into that carved in stone plan. You may find that your destination might change because this new opportunity fits your values, needs and wants better. The nice thing about our goals and plans is that they can be reviewed, tweaked and adjusted, but never abandoned. What is your weeks best stories that you sourced, that had a big impact on you? How will you invest your time? I’ve long-held the belief that marketing is an enterprise wide responsibility. At its core, effective marketing programs connect the customer experience across the organization from manufacturing and service best practices to customer preferences and the capabilities of your competitors. With the continued advances in technology, it’s become easier to collaborate within your organization to achieve stellar results. The downside to the advance of technology is that your customers can easily assess your capabilities, can see if your actions aligned with your messaging, and most importantly whether or not you live your corporate values. All to frequently, organizations believe that the role of marketing is purely to promote the organization’s products or services. In fact, the discipline is much greater than promotion. The substance of marketing is centered around the customer, always! There has been performance programs built since the early ’90’s focused on how an organization can meet or exceed a customers needs. I know it sounds like an episode from Rod Sterling’s “Twilight Zone”; but, imagine an organization that empowers its line workers to halt production of the entire line when the machinery falls out of alignment, threatening the quality of goods (reducing returns). The accounts receivable clerk responsible for understanding customer issues and sticking with the customer through the entire organization until the issue is resolved satisfactorily (reducing days outstanding and building stronger customer relationships). The customer service department that is charged with ensuring the customer isn’t just satisfied with the fix, but is committed to making the customer happy (leading to your ultimate marketing tool – word of mouth referrals). Sounds a little outlandish doesn’t it? 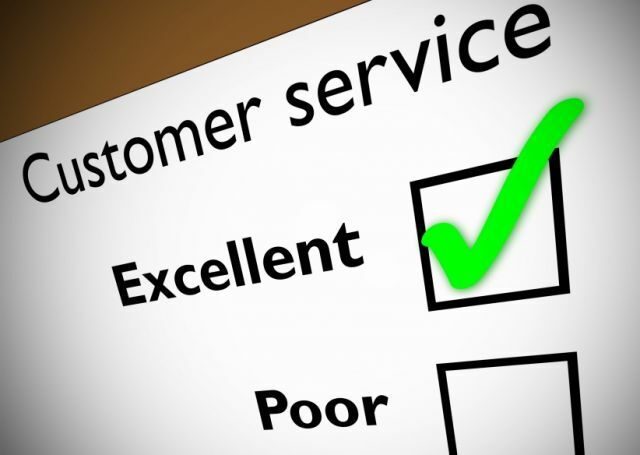 Based on your customer service experiences would you believe it to be true? I can assure you from my experience that when you put your customer first, good things can and will happen. As a marketer and an entrepreneur, I’ve been in large organizations with national and international reach, worked with “Mom and Pop’s”, owned my own businesses , and I’ve seen first hand the difference having, or not having, a solid customer service program can have on the bottom line performance of the organization. For solopreneur’s or micro-businesses, you may believe that this is beyond your capabilities. Please take the time to do your research and learn more, because you can do this. In fact, doing so might provide you with the competitive advantage you’ve been yearning for. I’d also recommend that if you haven’t read the work of Micheal Gerber, that you consider get a copy. It was and continues to be fundamental to my successes (read the E-Myth series if you’ve not*). Lately, it’s the work of talented friends and closely followed virtual mentors that has brought the issue of integrating marketing efforts with those in sales and other customer facing departments to the forefront for me. This weekend, Terry O’Reilly (@terryoinfluence), released his latest installment of “Under the Influence” on CBC Radio One, and the focus was on customer service. The episode has real life examples of organizations that have gone above and beyond to make their customer not only satisfied, but happy. As O’Reilly states “A happy customer, is a loyal customer”. Could you imagine, taking a return on an item that you stock, but didn’t sell, or ordering a pizza for your customer at 2am, when you’re an online fashion store? Well, these organizations not only did it, they encouraged it. I’d recommend that you give the episode a listen, in fact, when you have time, give them all a listen (I believe you’ll enjoy them). To illustrate how effective customer service is so fundamental to your business success, here are a couple of sample tweets pulled from my feed this morning. Some quick examples of tweets from today alone. If you’re not doing it already, it’s time to take your marketing/customer service to the next level and learn to deliver an exceptional customer experience. We know that it takes up to seven or more contacts to get a new customer to consider buying from us and only a few to get an existing customer to buy again. As O’Reilly so aptly reminds us “Customer Service doesn’t cost money, it makes money”.